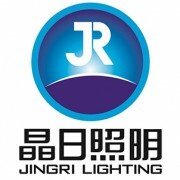 Located in Huzhou, China, Jingri Lighting is an industry-leading designer and manufacturer of architectural, landscape and roadway luminaires with a focus on the advancement of LED technology and digital lighting control. Our products are employed in a variety of applications including outdoor softscape and hardscape lighting, architectural accent, facade lighting, building-perimeter lighting, street lighting, and industrial lighting. Jingri delivers a broad line of high-quality, cutting-edge LED lighting products which include architectural floodlights, LED wall washers, digital tubes, RGB spotlights and projectors, roadway luminaires, pathway lights, posttops, gardern lights, bollards, and underwater lights, etc. Our complete palette of integrated products allows design professionals to create multi-level lighting scenarios using various superior lighting from our extensive offering. Operating a modern 700,000 square foot manufacturing facility, the vertical integration of Jingri Lighting's in-house capabilities delivers unmatched reliability, sustainable and availability for high quality products combined with its compelling technology portfolio including the industry-leading LED lighting and intelligent control technology. Our experienced in-house engineers deliver professional OEM / ODM services ranging from industrial design, contract manufacturing, to complete implementation of lighting systems for large scale projects. Jingri owns the proprietary tooling and patents to create elegant cutting edge lighting systems for architectural and commercial application. We maintain our own in-house testing facility to assure that all products meet the applicable standards.